How are medications handled on the 3rd floor? Doctors come up with a plan, put together prescriptions which are then sent to Wedgewood. The pharmacy returns blister packs with medication individually packaged by dose and by administration time. The nurses will dispense medicine to residents as ordered. The nurse uses a cart while transitioning from resident to resident on a clearly-defined schedule. How are nursing supplies and durable medical equipment (DME) handled? Medicare will only cover your DME if your doctors and DME suppliers are enrolled in Medicare. Doctors and suppliers have to meet strict standards to enroll and stay enrolled in Medicare. If your doctors or suppliers aren’t enrolled, Medicare won’t pay the claims submitted by them. It’s also important to ask your suppliers if they participate in Medicare before you get DME. If suppliers are participating suppliers, they must accept assignment. If suppliers are enrolled in Medicare but aren’t “participating,” they may choose not to accept assignment. If suppliers don't accept assignment, there’s no limit on the amount they can charge you. How is hospice care handled on the 3rd floor? Best practice is to have a dialog with the resident's physician(s), 3rd floor staff, and the resident's family and advocates. A common question asked by those considering hospice care for a loved one is, “When is the right time?” A growing number of caregivers are finding the correct answer to this question: as early as possible. Special needs are best handled by specialists. Hospice professionals specialize in end-of-life care and should be called upon during the first stages of a terminal illness to ensure the patient and their family members can benefit from all the services hospice has to offer. To navigate end-of-life care, it is important to understand how one can qualify for hospice and the specific services a hospice organization can provide. A person of any age is eligible for hospice care after being certified by a physician as having a life expectancy that may be six months or less, depending on the course of their disease. Another requirement is that patients who elect hospice must forgo curative treatment, either because they no longer wish to receive it or because it is no longer effective. Hospice services are covered by Medicare, Medicaid and most private health insurance plans, although many non-profit palliative care providers generally offer services regardless of a person’s ability to pay. Where can I find important contact numbers for the 3rd floor? This link will bring up the most current contact numbers for the 3rd floor, Belvoir Woods Health Care Center. 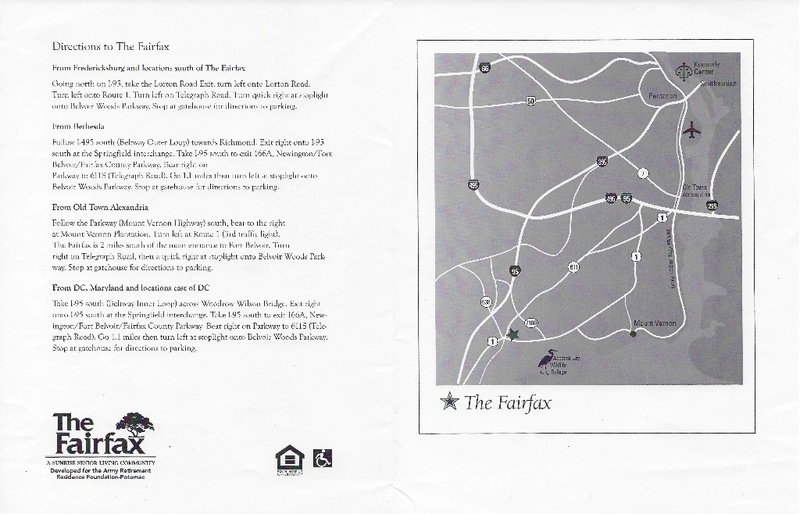 Where can I view a site plan for and directions to The Fairfax? 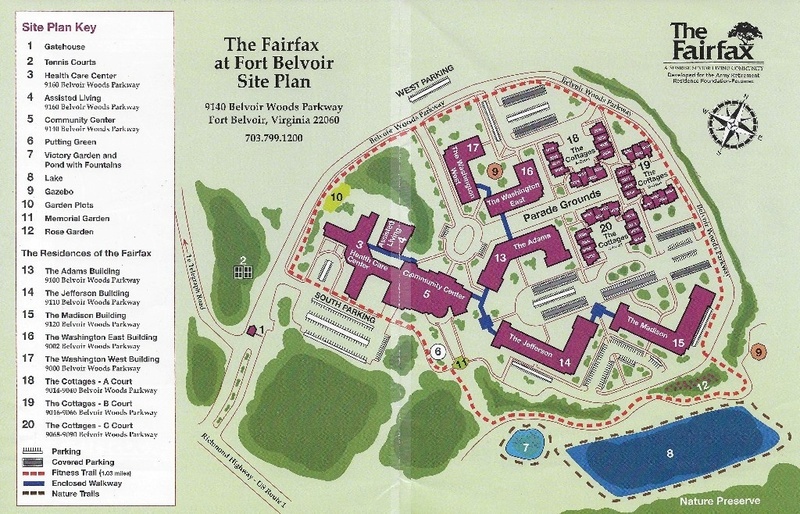 Here is a scan of the site plan for The Fairfax which shows the layout of the property as well as directions to the facility. Click.here for a larger version of the site plan and here for a larger version of the directions. 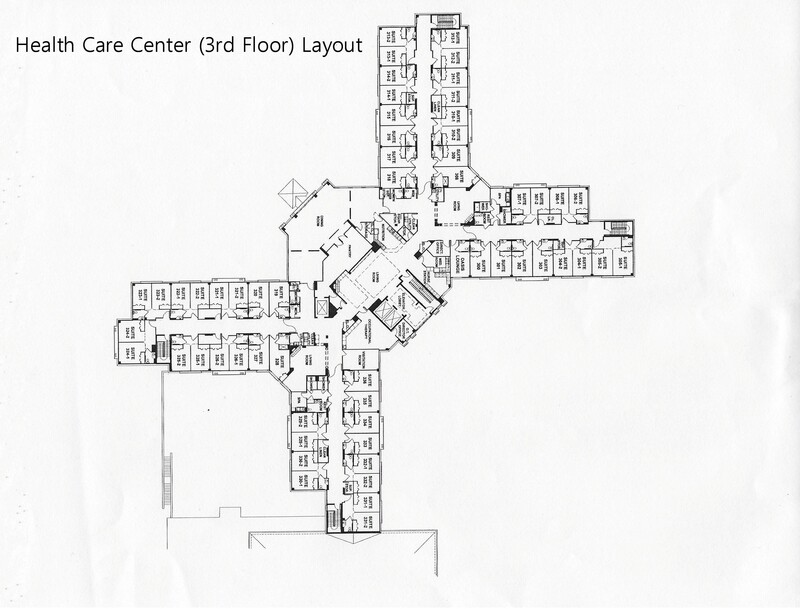 Where can I find the layout of the Community Center and the 3rd floor health care center? 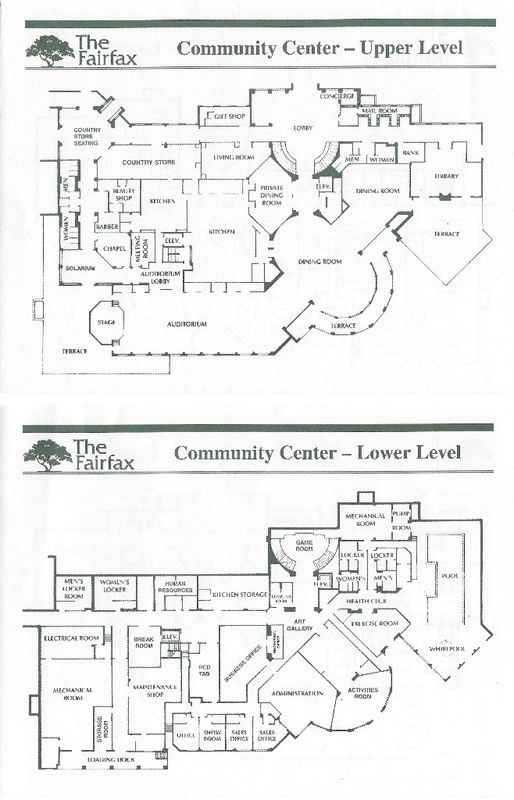 Here is a graphic showing the upper and lower floors of the Community Center at The Fairfax and a second graphic that shows the layout of the 3rd floor health care center. Click here to bring up a larger version of the community center and here to bring up a lager version of the 3rd floor..
Where can I see the Medicare Nursing Home Profile and Ratings for BWHCC? Follow this link to see the general Medicare profile for the Belvoir Woods Health Care Center, as well as health inspections, fire safety inspections, staffing, quality of resident care, and any penalties that may have been noted. What are the resident's rights? All nursing homes are required "to provide services and activities to attain or maintain the highest practicable physical, mental, and psychosocial well-being of each resident in accordance with a written plan of care that… is initially prepared, with participation, to the extent practicable, of the resident, the resident's family, or legal representative." This means a resident should not decline in health or well-being as a result of the way a nursing facility provides care. I'd like to visit Arlington National Cemetery, is there a way to find a particular gravesite? Yes! Arlington National Cemetery has a wonderful app called ANC Explorer which enables you to search the burial database "to locate gravesites, events or other points of interest throughout the cemetery; view front-and-back headstone photos and points of interest; and receive directions to these locations. The latest version also includes self-guided tours, easy access to general information, and provides the ability to save searched burial records to a mobile device." You can access the tool by clicking here if using a desktop browser. You can also download the free app to your smart phone or mobile device via the App Store or Google Play. The app is also available for public use on kiosks at the cemetery.